Due to the permanently increasing maximum speed of modern electric machines, the mechanical load on the electrical steel rises. The punched flux barriers of reluctance machines play an increasingly key role in the mechanical design. The weakening of the material and the notching effect can cause local failure due to centrifugal force. 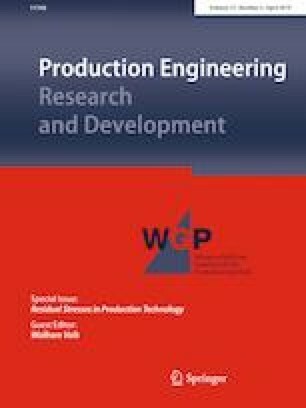 In this paper, a method is presented which induces residual stresses by embossing electrical steel laminations, which contribute to the guidance of the magnetic flux and cause a negligible mechanical weakening of the sheet. The aim of this paper is to demonstrate the effectiveness of these embossed flux barriers. This is achieved by using neutron grating interferometry, that allows the density of the magnetic domains to be resolved locally. Furthermore the influence of the embossing is mapped globally by single sheet tests. The finite element analysis of the forming process derives the residual stress distribution which is responsible for the measured magnetic behavior. In order to isolate the influence of the residual stress, non-embossed and stress-relief annealed specimens are used as a reference for both measurement methods. Funded by the Deutsche Forschungsgemeinschaft (DFG, German Research Foundation)—HA 4395/22-1; SCHU 3227/2-1; VO 1487/31-1.